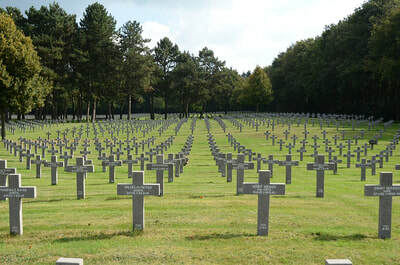 Ysselsteyn German war cemetery at Timmermansweg 75 in Ysselsteyn covers about 28 hectare or 70 acres and contains the graves of 31,598 German war dead, most of whom who died in the Netherlands during World War II. Ysselsteyn is a small village in the municipality of Venray in Limburg, Netherlands. 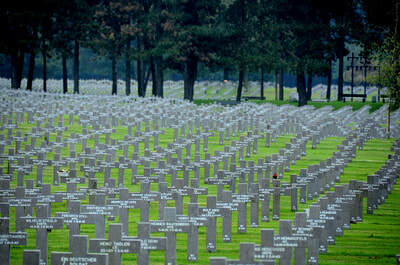 The war dead include Germans, Dutch, Poles and Russians who fought on the side of the German military. 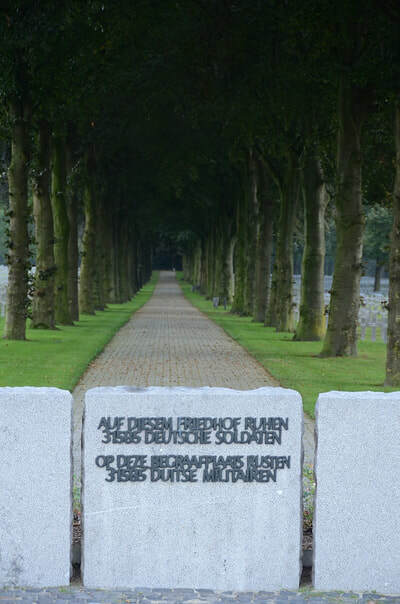 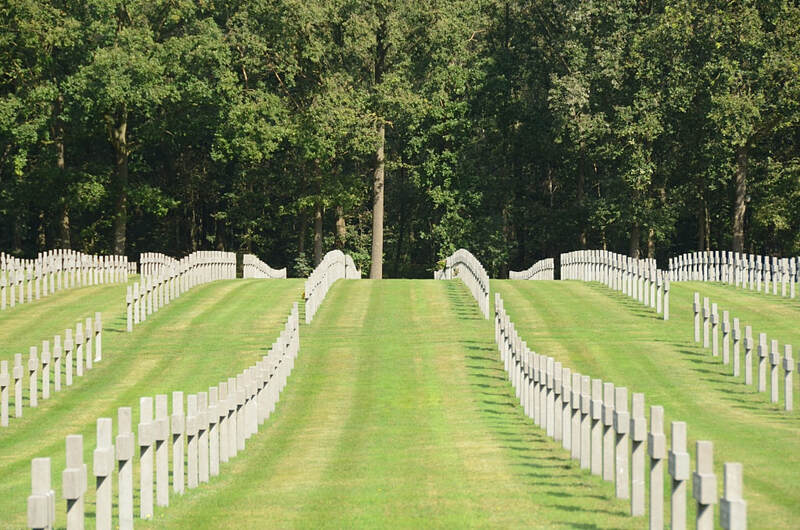 About 3,000 are war dead from the Battle of the Bulge in the Ardennes and Hürtgenwald that were initially interred next to the Netherlands American Cemetery in Margraten. In a circle near the entrance are 85 German soldiers who fell in World War I and whose bodies ended up in the Netherlands by floating down rivers, mainly the Meuse. 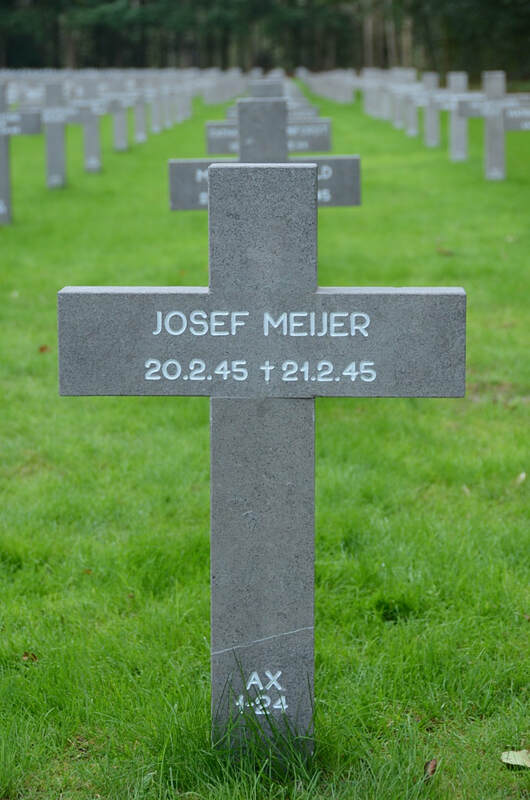 (The Netherlands were neutral in World War I). 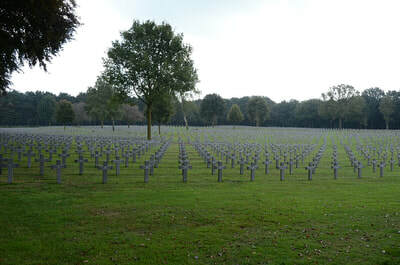 Almost all of the burials are in individual graves marked by a gray concrete cross. 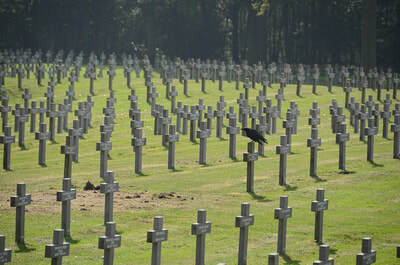 A tall cross stands in the central memorial plaza. The roads extending right and left from the plaza contain a carillon, common graves, and a memorial stone honoring the Dutch captain Johan Lodewijk Timmermans, who served as manager of the cemetery from 1948 to 1976 on behalf of the Dutch government, and whose ashes were scattered at the cemetery at his request after his death. 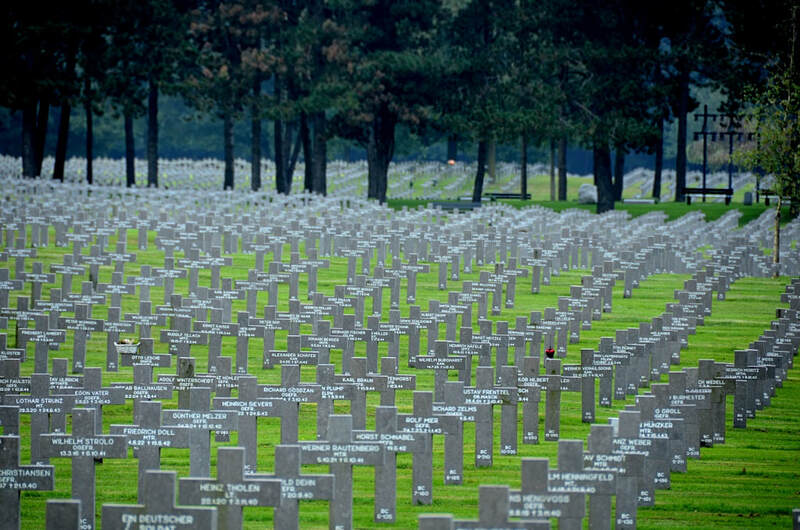 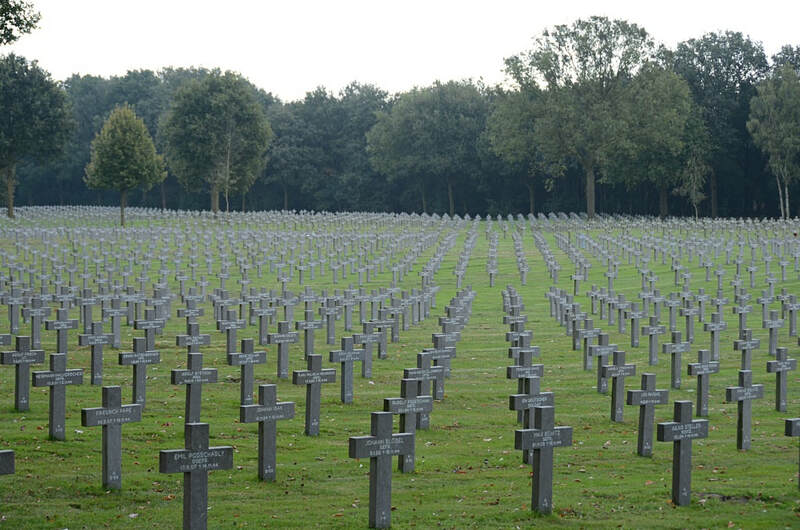 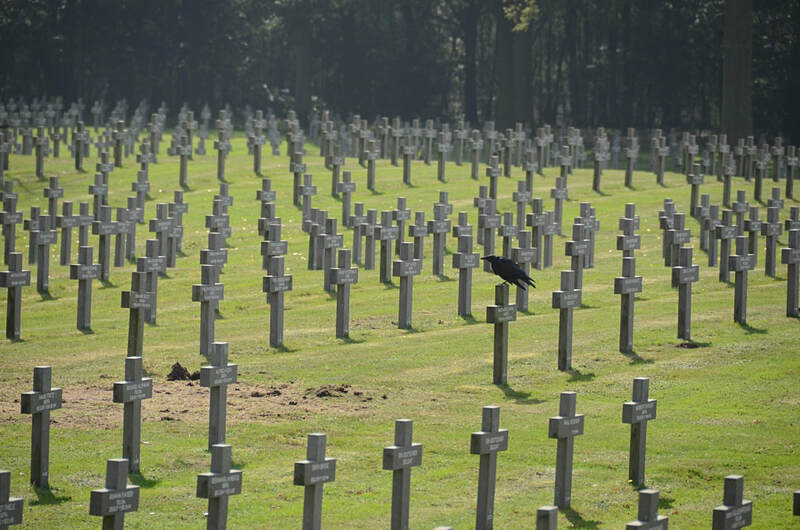 Ysselsteyn is the largest German war cemetery in the world. Ysselsteyn German war cemetery is now the only German war cemetery in the Netherlands as after World War II all German fatalities were concentrated there. 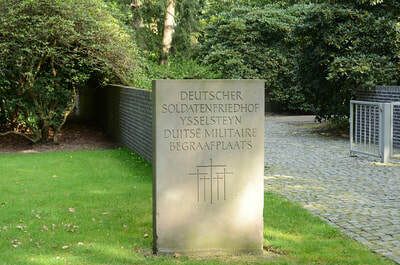 Since 1976 it is administered by the German War Graves Commission, the Volksbund Deutsche Kriegsgräberfürsorge.